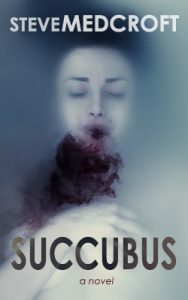 I am at the stage with a novel I've been working on for a while (called Succubus) where I have given it a much as I can. I have written three drafts but I know in my heart it is not quite ready to publish. I have written the best story I am capable of but I am reluctant to send it off into the world. I feel like I need some feedback before I can make that final revision. Should I try to round up beta readers? Should take the advice of successful indie authors and hire a professional editor? Beta readers seem like a nice idea but I don't know where to start. And wouldn't I get the kind of advice I would give? Meaning, the advice I can already offer myself by doing another read-through of my own story? So I reached out to a few editors to try and understand what they do and how much it costs. They were nice and helpful. One even did a free edit of the first few pages and pointed out some excellent fixes. 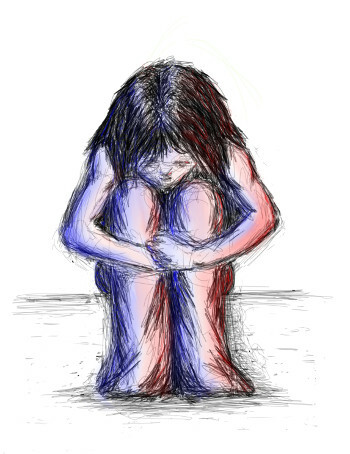 But I find myself reluctant to move forward. I feel selfish spending that kind of money on myself, on my pet passion, on my project. There is no guarantee that if I make this investment, it will get me a finished, publishable novel. When I think about the work (and look at the kind of results a professional edit would get), I wonder if I have done everything I can with the book yet. Have I given it my best and most-perfect final edit? Investing that much also kicks the financial equation for the book out a ways as well. I've invested time, sure, but spare hours, found hours, early hours, hours that if I don't make a ton on, I can live with in the pursuit of my goal. But spending real, hard, family cash that may or may not come back is tough for me. My brother is a mechanic. A very good mechanic. He's worked at it since he took an aircraft mechanic's Associates Degree in high school. He's advanced enough to be the head mechanic on a semi-professional rally-care race team that competes nationally on television in the RedBull RallyCross series. 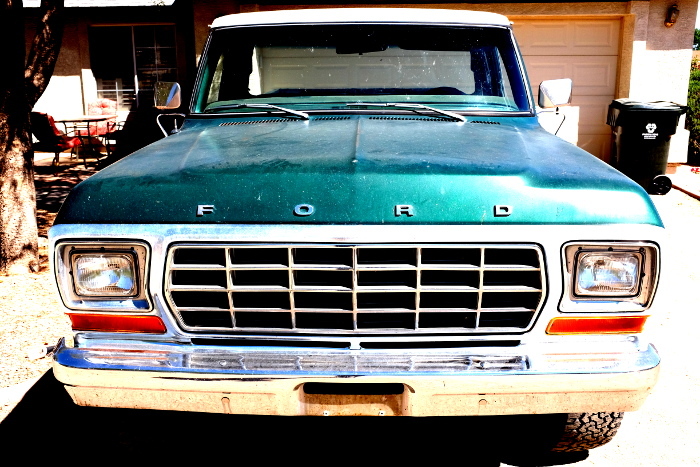 I have an old pick-up truck that I picked up from my mother, who no longer needed it. It was rotting in the damp Seattle climate and now lives in the brittle dry of my Southern Arizona driveway. It doesn't have air-conditioning, or modern safety equipment, but I drive the truck weekly and love it irrationally. I call it Hank. Hank the Tank. I am not a mechanic although I try to maintain the truck myself as best I can. In the past year, for fun (and because it needed it), I've replaced the alternator, water pump, power steering pump, brake master cylinder, had the carburetor rebuilt, replaced all the major tune-up parts (spark-plugs, wires, coil, distributor cap, etc.). I've adjusted the timing, changed the oil, bled the brakes; all tasks within grasp of the average, shade-tree wannabe. Despite my efforts, the truck runs frustratingly rough, takes forever to warm up, and squeals like a hog being murdered if I drive faster than 64 miles per hour. My brother was in town for a night last week. He flew in to pick up a second-hand truck and trailer for his rally-racing team. After he concluded his transaction, I picked him up, we ate at an Irish bar, and I brought home to hang out. He asked about the truck and I whined about how imperfect it was. "Well let's take a quick look," he said. "What else are we going to do? Just sit and watch TV." The 65mph squeal hinders how I use the truck, keeps me local, off the freeway. I've pondered and tinkered and posed the problem online. To no avail. I finally came to the conclusion that the noise was some kind of hard-to-isolate vacuum leak and given up hope on anything other than an engine rebuild would fix it. My brother spotted the problem in about sixty seconds. The tension in one of the belts was different enough from the tension in another, that the imbalance left that belt vulnerable to slipping under heavy load. "See this belt (the power-steering belt)?" he said. "It's only contacting about 15% of the pulley that drives it. At high RPM, that's slipping and causing the squeal." He adjusted the tension. Squeal went away. The crappy running engine was surely not something as simple. I pointed out my rebuilt carburetor, the tune-ups I did, the brand-new air filter. I bragged how I cleaned up all the vacuum hoses. "I've done everything," I said. He took a quick drive. Checked my adjustments. Removed a vacuum hose that had a check valve on it. Blew air through it. "This is backwards," he said and reversed it. The idle smoothed out. The truck ran cleanly off a dead stop. And since, has run so much better. "That's connected to the idle advance on the distributor," he said, and explained what that does. He's the truck whisperer. His fresh eyes and lifetime of accumulated experience meant he was able to work through my truck problems in a highly-efficient and compressed manor and resolve something that stumped me. He's kind and tells me I've done well with the stuff I worked on myself but I have no illusion that I could ever be as good with these things as he is. And this relates to writing how? His work on the truck was the answer to my question about whether or not I should invest in having my novel professionally published. I am in the same place with my writing as I am with being my truck's mechanic. I can put my blood, sweat, and tears into my novel and get it to be the very best versions I can make it but I accept that I am a novice, someone trying to work out how to get the job of writing novels done and done well. I want to be proud when I publish, to know I did everything I could to do my best work, so I owe it to the story, to myself, and to anyone who will be gracious enough to buy and read it, to let a professional fresh eyes and a lifetime of experience polish my work before sending it off into the world.